Friday the 13th will be the coldest day of winter so far - with the entire country expected to be blanketed in up to four inches or 10 centimetres of snow. The Arctic blast will start to hit the UK on Wednesday bringing with it snowstorms and chilly winds which will reach the whole of the UK by the weekend, the Met Office warned. From Friday the whole of the country could see freezing storms bring two to four inches (5 to 10cm) of snow as temperatures dip “well below” freezing. Temperatures could drop as low as minus two degrees Celsius - 28 Fahrenheit on Friday night but daytime temperatures not much higher - but the Arctic blast will make it feel a lot colder. The Met Office has warned commuters to expect heavy traffic problems as thick ice and snow are likely to disrupt services across the country on Friday. Forecaster Marco Petagna said: “We could see the coldest day of winter on Friday. “A cold front moving in from the Atlantic will bring heavy frost and frequent snowstorms. “It is likely that five to ten centimetres of snow will come in from the north and fall as far as the south of the country on Friday, and there could be even thicker snow in the hills. “Daytime temperatures on Wednesday will be around four to six degrees C (39 to 43 F) but harsh winds will make it feel as if temperatures are well below freezing. Marco warned that thick ice and snow could cause widespread travel disruptions on Friday. He said: “People will need to keep tuned to forecast updates because it is extremely likely that travel warnings will be issued. The freezing Arctic blast will first hit Scotland and the North on Wednesday before gradually moving all the way down to the south. He explained: “Low-pressure weather systems will move in from the Atlantic and bring cold northerly winds. He added that weather should be mild on Monday but will become increasingly unsettled on Tuesday. He said: “Commuters can expect a quiet day on Monday with low cloud cover across the most of the UK. “Mild temperatures of 9 to 10 C (48 to 50F) can be expected in much of the country thanks to high-pressure weather systems, with a low risk of rain to be expected in the north west. 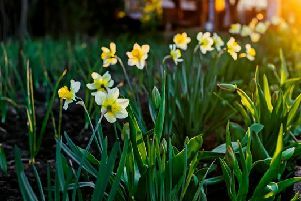 “On Tuesday the picture will become increasingly unsettled and there could be outbreaks of rain in the north west and south west of the country.